As I sit here, having finished Professor Layton vs Phoenix Wright Ace Attorney, I’m still amazed that this game got made. It’s a match made in heaven: two old-school adventure games with innovative puzzles and funny, interesting characters coming together to star in one adventure. This is the kind of things that fans dream about. So, how does it work? 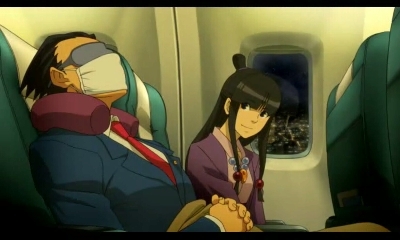 The story puts Phoenix Wright and his assistant, Maya Fey, on a plane as part of some cross-cultural attorney training kind of thing? I don’t know, the important thing is that they show up in London and start doing their thing, which is probably the best choice. Professor Layton has always been a Brit, but for some reason, Capcom’s localization department decided that Phoenix and crew shouldn’t be Japanese, but from Los Angeles instead. Having Phoenix and Maya travel to London solves that potential localization hiccup. However, rather than exploring London, the Professor, Luke, Phoenix and Maya get pulled into a strange new world, Labyrinthia. In Labyrinthia, magic is a real, feared thing, with witch trials being a common occurrence. “Logic” is a concept foreign to the people of Labyrinthia. So, given the appearance of two of the cleverest men in their world, things get shaken up pretty quickly. One frustrating thing about the story is that it keeps jumping from the heroes’ perspectives. 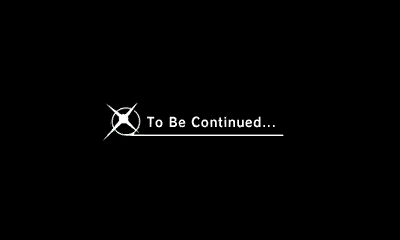 In the game’s ten chapters, you’ll switch perspectives more than once, and, as a result, you’ll see a “To be Continued” screen just when things are starting to get interesting. I guess this is a sign that the game is pretty well written that I was so annoyed every time. 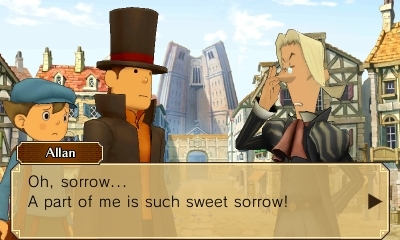 Layton vs Ace Attorney takes the best of both franchises and puts them into one game. The exploration interspersed with brain teasers from Professor Layton and the logic-bending courtroom puzzles from Ace Attorney are both fully represented here. 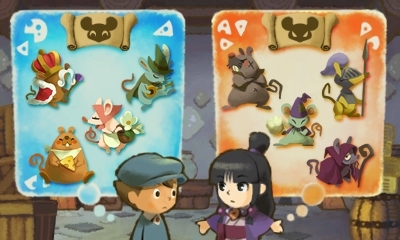 That said, it probably leans more towards the Professor Layton formula, mostly because there’s more to do there. 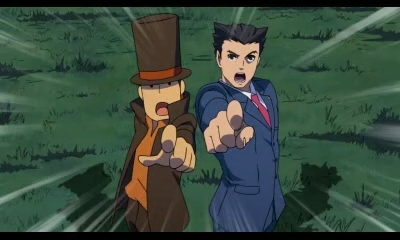 Still, Layton vs Ace Attorney has all the courtroom shenanigans you’ve come to expect from the series. 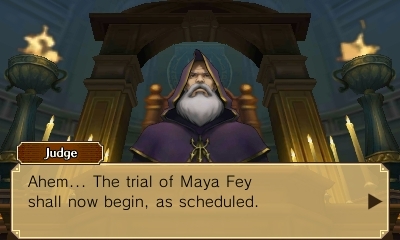 Yes, Maya even goes on trial for murder, which seems to be a common occurrence in her life. Still, even here you get some bleed over from Layton: if you ever get stuck in the courtroom, you can use hint coins to narrow your choices. It’s an amazing help. I never had to look up a solution once (which was common when I was playing the Ace Attorney games). That’s not to say the game is perfect. If there’s one weak point in the game, it’s some elements of the presentation. Now, the graphics themselves are just fine. Everything is sharp and pleasantly detailed. And the music combines the best of both series into a stellar soundtrack. However, art direction is where you can see some flaws. 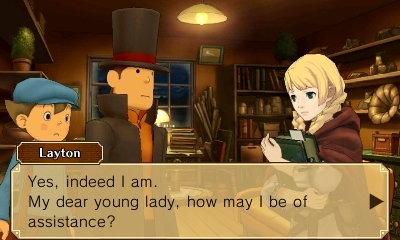 Ace Attorney uses exaggerated anime designs, and Professor Layton has a unique exaggerated style. And they don’t always mesh very well. There’s a real disconnect the first time you see the Professor and Luke conversing with a more anime-inspired character. Once the story gets going, it becomes less apparent, but this game borrows more from the Ace Attorney art-style, meaning the Professor and Luke stick out like a sore thumb. Plus, as much as I love Christopher Robin Miller’s portrayal of my favorite professor, his “Objection!” (and really all his courtroom blurbs) is way too subdued. Oh, and the puns… That’s not to say the game is badly localized, though. Once again, Nintendo of Europe has taken charge of the localization, and, as a result, the game feels more British, which is a good thing. Those puns get really bad, though. There’s even one referencing a meme. Don’t say I didn’t warn you. Plus, setting the story in an all-new location seems like a disappointing cop out. The Layton world is almost Victorian steampunk in style, while Ace Attorney is more grounded in modern reality (at least, as grounded as any anime supposedly set in the real world is). 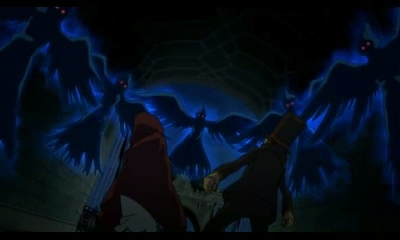 Seeing how Phoenix would react to London, or how Layton would react to LA seems like a missed opportunity. Still, it’s hard to fault a game for not being exactly what you want it to be. All in all, I loved this game. As a cross-over between two beloved adventure game characters, it performs admirably. If there’s one thing holding it back, it’s the timing of its release. 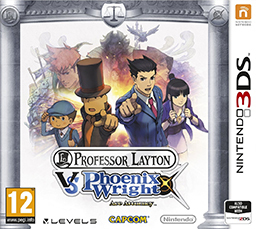 Professor Layton vs Phoenix Wright Ace Attorney came out in Japan in 2012, a year before Duel Destinies and Azran Legacy hit store shelves, arguably the best games in their respective franchises. This is definitely a step back for both of them. Still, if you are a fan of either series, for $30 you’ll find something to enjoy here in the 20+ hours it will take you to finish it (plus however much content is in the free DLC the game is getting), and you owe it to yourself to get a taste of the other. And, if you are a fan of both, you a get a game from both franchises at once.